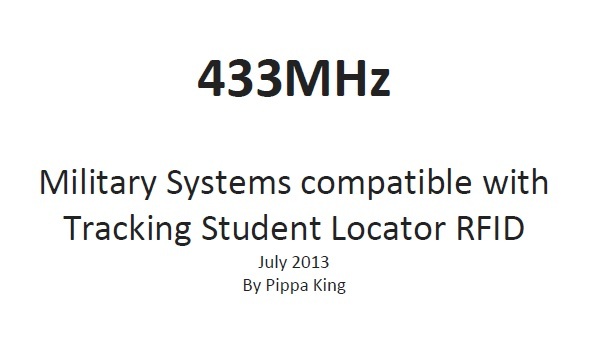 ← Student locators using ex-military 433MHz? RFID (CCTV and GPS tracking) ensures “foolproof safety” of children? Really? A claim made as Dubai launches it first phase of RFID tracking children on school buses with 3,200 buses transporting around 170,000 children “In the second phase, the entire fleet will be equipped with CCTV cameras and live communications system.” …with sound bite transmitting and GPS on the buses too – no expense spared for the kids in Dubai. RFID vendors and government employees may claim that the technology is capable of a lot of things to sell it to us but that it “ensures foolproof safety” of children on a school bus is, in my humble opinion, going a step too far. The one claim that can be made about RFID (and other technologies) use in this circumstance, is that using this technology to track children without doubt erodes those children’s civil liberties and privacy. While Al Qutami’s, the Minister for Education, intentions are admirable to keep children safe, surveilling them to this point is not a “foolproof” answer. This entry was posted in Dubai, GPS, Privacy, RFID children, RFID tracking, Tracking children and tagged children, GPS tracking, Real Time Location System, RFID children, RFID tracking, surveillance, Tracking children. Bookmark the permalink.